Instantly catchy and dazzlingly radiant, Edward and Jane’s “Hold Your Own” is a loving, gritty folkicana anthem full of faith, strength, and hope. Even in our darkest moments, it’s important to remember our worth, our beauty, and our potential. Humans endure – that’s how we took over this Earth, and that’s why we’ve survived centuries of conflict and we’ll hopefully survive centuries more. Sometimes all a person needs to make it through their own hardship, is the knowledge that someone else has done it, too. You’re not alone – but you can “Hold Your Own,” as is expressed in Edward and Jane’s evocative and inspiring new song. Atwood Magazine is proud to be premiering “Hold Your Own,” the lead single off Edward and Jane’s second EP, Too Early to Tell (out 9/28/2018). The Chattanooga, Tennessee six-piece band led by husband-wife duo Timothy Edward Carpenter (guitar/vocals) and Emilie Jane Creutzinger (mandolin/vocals), Edward and Jane are the Americana version of The Killers, exuding passion and purpose with sonic similarities to folk-rock titans like Mumford & Sons, The Head and the Heart, and The Lumineers. Debuting in 2017 with the harmony-rich song “Blood and Bones” and subsequent EP As Family We Gather, Edward and Jane have quickly gained (well-deserved) attention for their majestic blend of folk and Americana music – a sound they’ve lovingly dubbed “folkicana.” The band’s latest song, the aching heartbreak ballad “Please Don’t Leave Me Like This” (February 2018), has organically garnered over 170,000 Spotify streams with no help from playlisting – a fact the band share with pride. Timothy (“Edward”) Carpenter’s raw vocal sets the song’s tone as he sings of his steadfast belief in another person. Slowly his lyrics paint a picture of individual resilience and humbling perseverance; the words come to us straight from the heart, as if the entire song were an ode to another’s inspirational qualities. Emilie (“Jane”) Creutzinger joins Edward in asking the track’s critical question, “Won’t you show me how you hold your own?” We hear the words repeated softly in the pre-chorus, and then belted with warmth and passion in a beat-driven, vibing chorus. Gritty, poetic lyrics depict humanity’s ability to overcome any and all of life’s hardships. “Hold Your Own” was originally written about the head-first dive into young adulthood, but it captures something much more universal than that singular time in our lives. It’s a motto we can all live by, to help us get through the dark times as we strive to dwell in the light. No matter how bleak our situations seem and how bad things get, we are unfathomably resilient creatures – built to weather the toughest seasons. That said, few if any of us can do it alone. The marvel of “Hold Your Own” lies in the narrator’s admiration of another’s strenght, yet for all we know that person has an entire network of support to lean. Yet even if they’re all alone with their burden, Edward and Jane’s song shines a familiar light on our common experience – hopefully taking just a little of that pain off a person’s plate, replacing it with an ounce of strength to soldier on. Instantly catchy and dazzlingly radiant, “Hold Your Own” is a fight song – an emphatic, gloriously impassioned singalong we can all rally around. 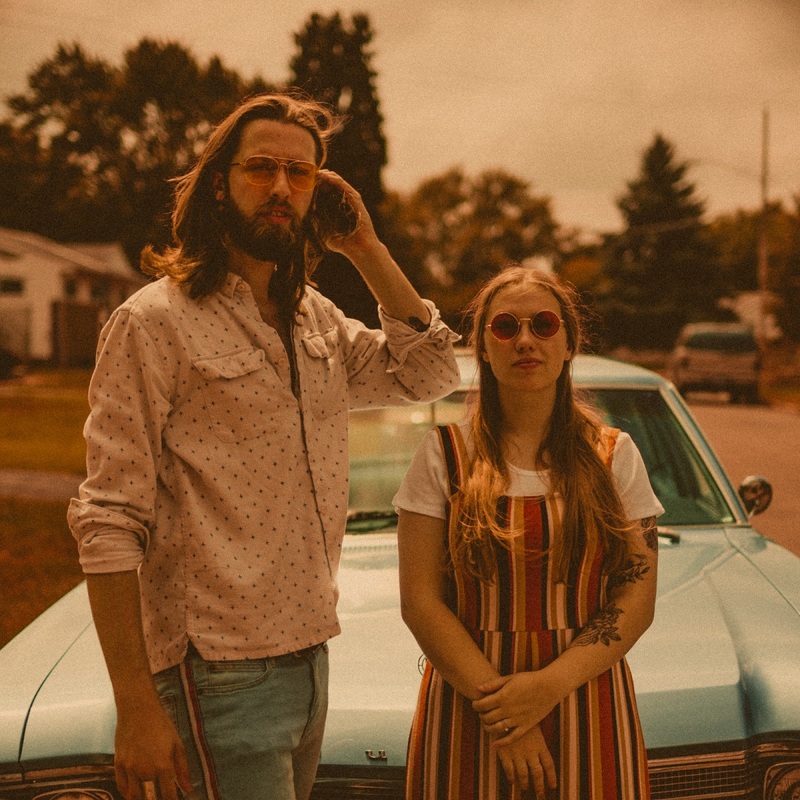 Stream Edward and Jane’s newest song exclusively on Atwood Magazine, and look out for the Tennessee band’s sophomore EP, Too Early to Tell, out September 28, 2018!